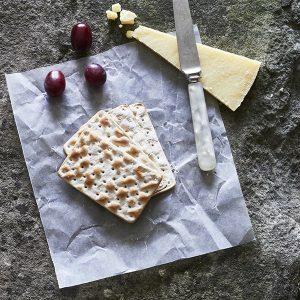 Luxury Cheese Selection | The Courtyard Dairy. A luxury selection to please every cheese-lover. 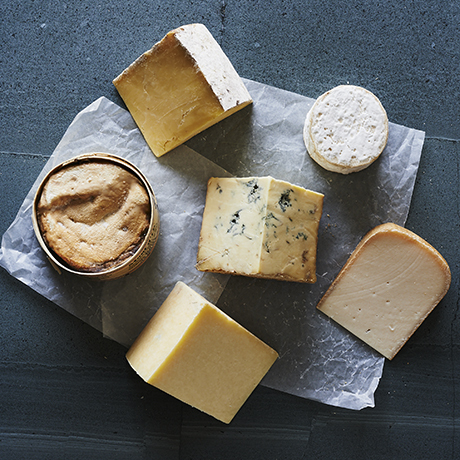 Six large chunks of some of the most outstanding cheeses available, this is a true luxury cheese selection. 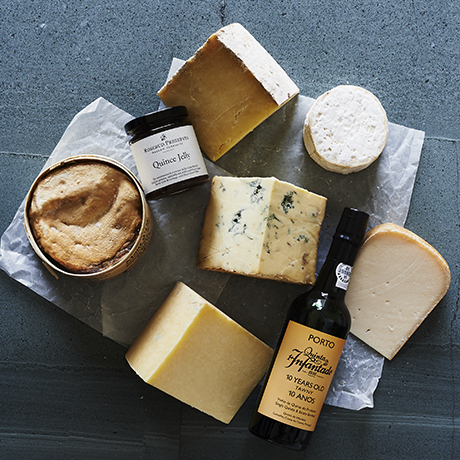 Including the outstanding, buttery and tangy Hafod Cheddar; voluptuous Vacherin Mont d’ Or, stunning Stichelton, the triple-cream Brie-style Finn, a multiple award winning goats Gouda from Ireland and that old favourite, Kirkham’s Lancashire, this cheese selection will impress even the most discerning cheese lover. The extended version also includes the fabulous Infantado 10 Year Old Tawny Port and English Quince Jelly. Vacherin Mont d’Or. Unpasteurised cows’ milk. 500g. Only made for the winter season, Vacherin Mont d’Or is hedonistic, powerful, rich, and often dribbling out of the box! The Vacherin Mont d’Or selected by The Courtyard Dairy is made by one of the most outstanding producers in the region – Sancey-Richard – and then extra-aged to be sold at eight weeks old so that the truly unctuous, rich, and piney flavours can develop fully. Replaced with Winslade when out of season. Hafod Cheddar. Unpasteurised cows’ milk. 500g. Stichelton. Unpasteurised cows’ milk. 500g. 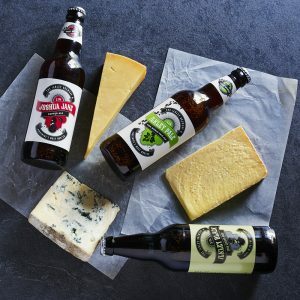 Hand-ladled and made to a traditional Stilton recipe but with unpasteurised milk, Stichelton is creamy and nutty, with a rich yet gentle blue note. A triple-cream cheese, a classic of the French Parisian style. Extra cream is added to the milk before making Finn, ensuring it has a rich, delectable flavour and smooth texture. Killeen Goats Gouda. Pasteurised goats’ milk. 250g. Leaving Holland in search of the Irish ‘good-life’, Marion Roeleveld developed Killeen – a Gouda made with milk given by her own goats. Kirkham’s Lancashire. Unpasteurised cows’ milk. 500g. Third-generation Lancashire-maker Graham (Mrs Kirkham’s son!) still follows the traditional two-day curd method, giving a buttery, yoghurty flavour with a fluffy and light texture that melts in the mouth. 10-Year-Old Tawny Port. 19.5% abv. 375ml. Quinta do Infantado has been owned by the Roseira family for over a century, who were one of the first producers to bottle wine on their own estate. This 10-year-old tawny port is exceptional. 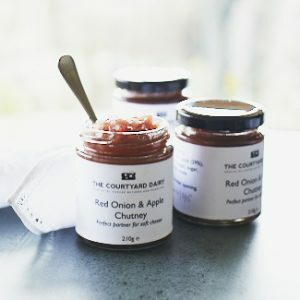 Made with only English quinces, this Quince Jelly is perfumed, light and aromatic. Made by Elspeth Biltoft in Healey, North Yorkshire, England.